The Screaming Penny: Lowe’s: 18 Gallon Tote only $2.50! Lowe’s: 18 Gallon Tote only $2.50! 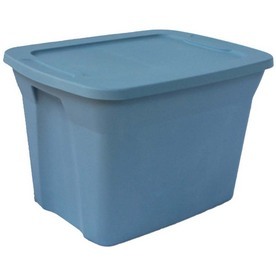 After Christmas is a great time to get storage bins! We bought a lot of these at this price last year and they've come in handy! Right now at Lowes.com, you can get an 18 Gallon Tote for only $2.50 and get it shipped to your local store for free. Plus, go through Ebates and earn 6% cash back and a $5 sign up bonus if you are new! Sign up/in here, type Lowe’s in the search bar and click Shop Now.